← Howard Raiffa, Harvard Professor, decision analysis pioneer, dies at 92. 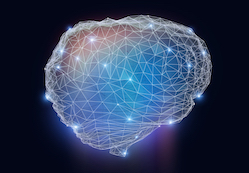 The lack of a formal link between neural network structure and its emergent function has hampered our understanding of how the brain processes information. The discovery of a mathematical framework to describe the emergent behaviour of the network in terms of its underlying structure comes one step closer. A new approach to neuroscience based on mathematics is helping to reveal a universe of multi-dimensional geometrical structures and spaces within the networks of the brain. EU support has helped researchers to come closer to describing such a link by taking the direction of synaptic transmission into account, constructing graphs of a network that reflect the direction of information flow. The team then analysed these directed graphs using algebraic topology. The need to understand geometric structures is ubiquitous in science and has become an essential part of scientific computing and data analysis. Algebraic topology offers the unique advantage of providing methods to describe, quantitatively, both local network properties and the global network properties that emerge from local structure. As the researchers working on the Blue Brain project explain in a paper, ‘Cliques of Neurons Bound into Cavities Provide a Missing Link between Structure and Function’, while graph theory has been used to analyse network topology with some success, current methods are usually constrained to establishing how local connectivity influences local activity or global network dynamics. As the complexity increases the algebraic topology comes into play, being a branch of mathematics that can describe systems with any number of dimensions. Researchers describe algebraic topology as being like a microscope and a telescope at the same time, zooming into networks to find hidden structures and seeing the empty spaces. As a result, they found what they describe in their paper as a remarkably high number and variety of high-dimensional directed cliques and cavities. These had not been seen before in neural networks, either biological or artificial and were identified in far greater numbers than those found in various null models of directed networks. The study also offers new insight into how correlated activity emerges in the network and how the network responds to stimuli. Partial support was provided by the GUDHI (Algorithmic Foundations of Geometry Understanding in Higher Dimensions) project, supported by an Advanced Investigator Grant from the EU. This entry was posted in Modeling, Society and tagged brain, data analysis, dynamics, geometry, network, topology. Bookmark the permalink.